See the list of 2018 winners, plus a grand prize and research awards for past challenge winners. Applications for the 2019 program will open in the summer on a date to be determined. The goal of the $1M Challenge Fund for Innovation in Journalism Education is to hack the journalism curriculum using customized versions of the teaching hospital model. The fund supports universities to partner with local news organizations, and explore new ways of providing information to their communities. Winners receive up to $35,000 in grants to support local news experiments. Winners can then compete to win up to $100,000 in additional grand prizes for best project and evaluation. For more information, learn about how the Challenge Fund works, or read the program FAQ. 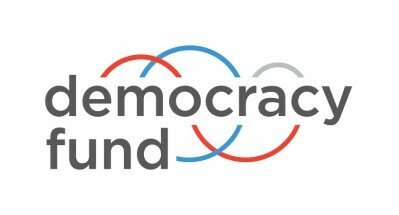 Once again, we’ve partnered with the Ethics and Excellence in Journalism Foundation, the Robert R. McCormick Foundation, the John S. and James L. Knight Foundation, the Democracy Fund, the Rita Allen Foundation and The Scripps Howard Foundation to offer this $1 million challenge in 2017 and 2018. Will these projects change the face of journalism education as we know it? We hope so. Our three previous rounds of grant winners are busy experimenting with teams of educators, technologists, researchers, students and media professionals, all excited about collaboratively exploring the possibilities. For more information contact challengefund@journalists.org.